CLABE POLK is into a second career as a writer of fiction. So far, he has written three novels, three novellas, several short stories, and has a couple of other novels in process. He is a Christian and a lifelong reader with a great variety of life experiences that has led him to write a variety of different types of fiction. Mr. Polk retired after nearly thirty-seven years in professional environmental protection program management and law enforcement. With a background in biology and natural sciences, he has spent most of his life among the woods, waters, fields, and farms of Florida and Georgia. He lives in Powder Springs, Georgia with his wife, two daughters, and the family’s Cockapoo named Annie. 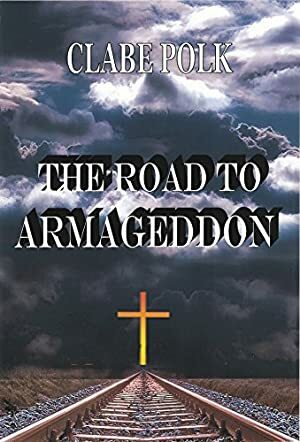 The Road to Armageddon by Clabe Polk is a Christian dystopian novel loosely based around the Book of Revelation in the Bible. Readers are first introduced to Mark, a down on his luck guy trying his best to provide for his loved ones. When Mark hears about International Financial Services, his curiosity takes hold of him, and he decides to take a chance with the company. Little does he know, the devil is in the details. Soon enough, Mark and his family are thrown into the trenches of danger as the world they know begins to crumble. The end of days is coming and only faith can save them now. The Road to Armageddon was a wild ride full of action and mayhem. I really liked Polk’s imaginative take on the end of days. The concept which Polk focused on was very intriguing, to say the least. Instead of focusing on the supernatural elements, he focused more on the message that mankind is easily corrupted and will inevitably end itself. Just as Eve’s curiosity led her to disobey God, Mark’s curiosity led his family into danger. I love the wrap around and I appreciated the ending closing on an optimistic note. Though, as a cautionary warning to Christian readers, despite The Road to Armageddon being aimed at a Christian audience I would like to point out that this novel has profanity. Aside from that, it is a great and suspenseful novel that will keep readers on the edge of their seats.